One third of a persons' life is spent in bed. When looking to buy new bedding, it is a careful, considered purchase. 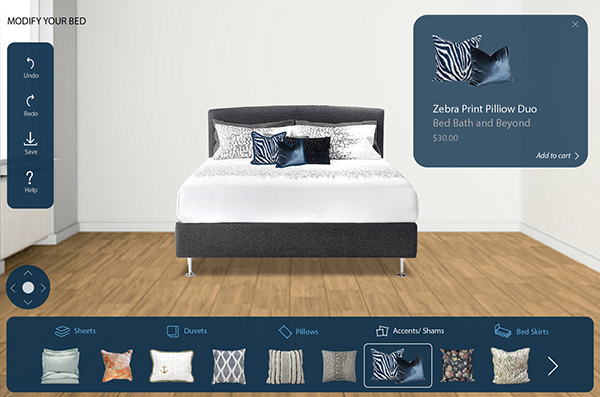 As expensive as bedding is, a person is more likely to purchase items if they are able to visual them being in their home. 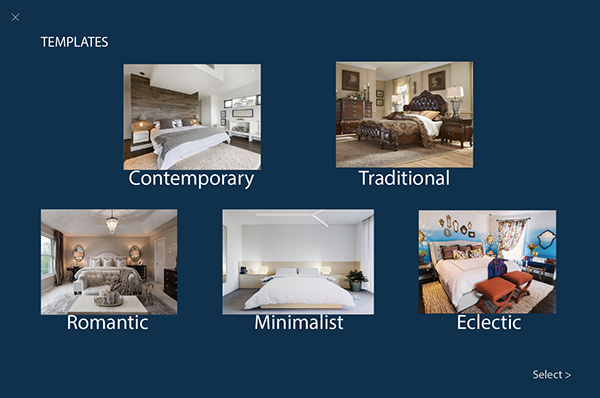 A design tool is a perfect solution to being able to find the perfect custom bedroom suited to every individual's tastes. Create a design tool to allow users to set up a bedroom using Beautyrest products and partners for designing walls, floors, etc. In this step, the user can search "Existing Rooms": rooms designed and saved by other users. They also have the option of reopening rooms they have previously saved to update their designs, or adding a picture of the room they would like to modify for the first time. 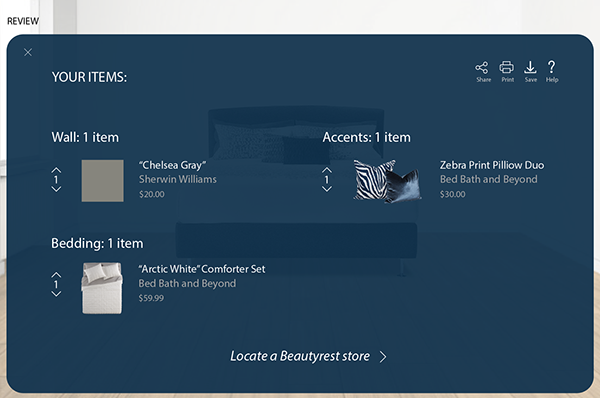 The "Templates" option allows for preset aesthetics for a room to be chosen. 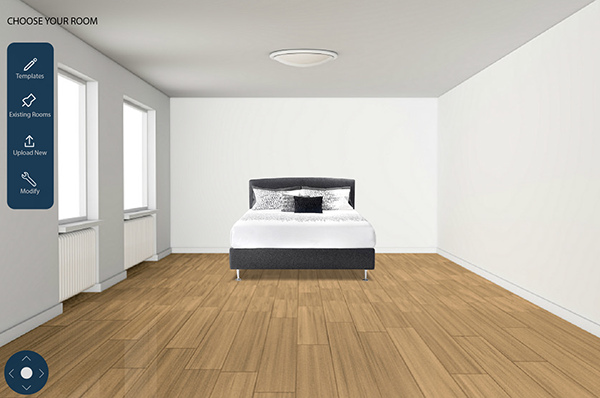 There are 5 offered templates to choose from to get the user started on designing their new room. 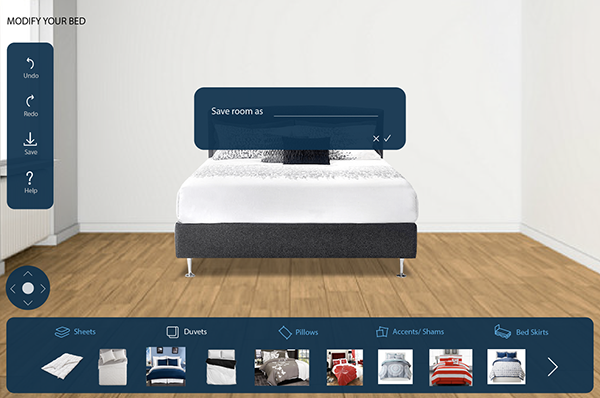 Once the user has chosen a room or a template, options will appear at the bottom for them to select a category to work with and then select individual products. Shown here are the options for wall colors. 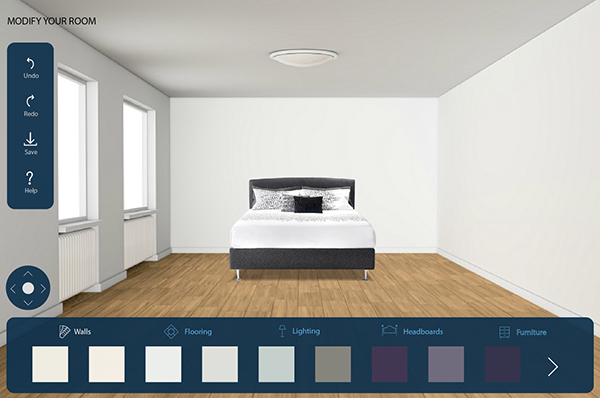 To select an object, simply click on it and it will appear in the room, or rather change the wall color automatically in this case. 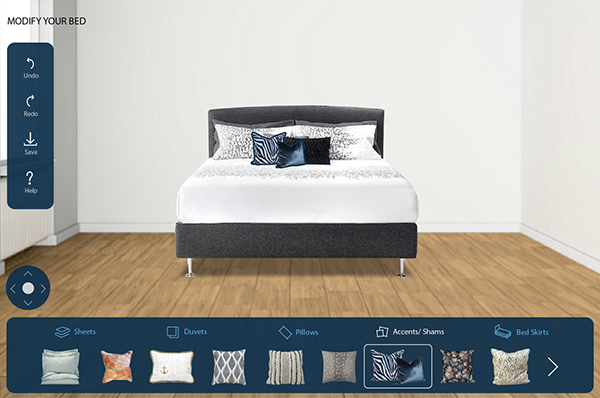 Once the user has selected a product they are interested in, the object will appear in the room where it can then be manipulated to the exact spot it is wanted. A blue outline will appear so that you know what is currently selected, as well as letting you know in the options bar. 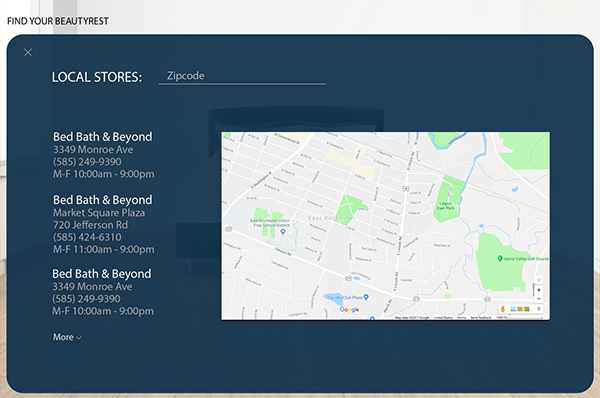 If you click on that object, it will give the user more details and the option to add it to their cart. 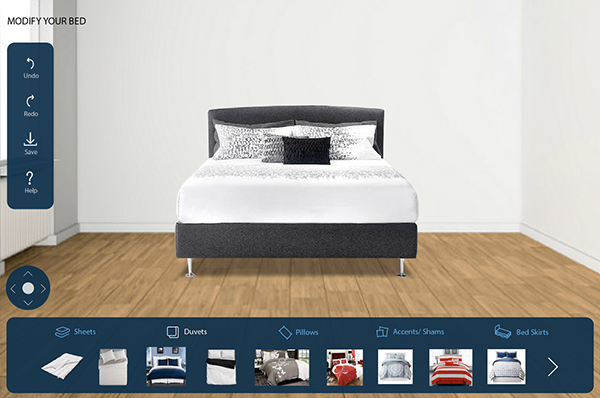 Here the user can save their room to be modified later or to use as reference when redecorating with their new items. Once the room is named, it will also be saved to the "Existing Rooms" options for others to use as inspiration. Once the room is saved, the next screen will be a summary of the objects used in the room. 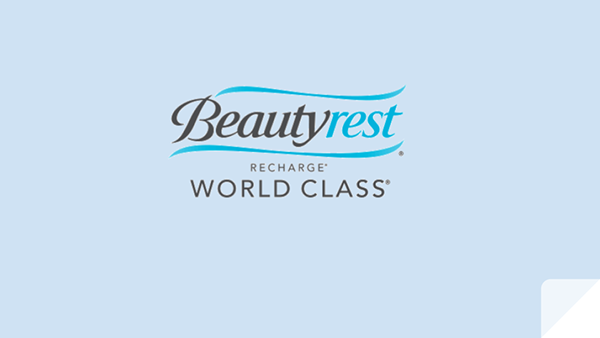 The user then has the ability to find their closest Bed Bath & Beyond, selling Beautyrest products.